Using paper shredders in the office is the most efficient way to get rid of sensitive office documents. They are classified into three main categories: short cut, strip cut, and micro cut. 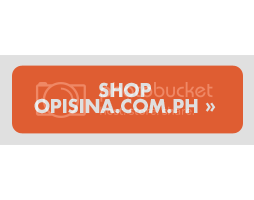 Read on as Opisina.com.ph gives you the rundown on this office machine. The strip cut shredder, which is also known as the spaghetti cut shredder, is the most common among the three types of paper shredders. Strip cut shredders produce long strips of paper with a base width of 1/2, 1/4 and 1/8 inch. However, the most sold paper shredder come in the 1/4-inch for its usefulness and economy. Because of its non-complex machinery and low operational and maintenance cost, the 1/4-inch variety is relatively cheap compared to cost-cut shredder. Strips of paper made from this type of paper shredder can also be reused as padding or packaging material for letters and shipping boxes. Pictured above, cross cut shredders are becoming more popular among offices as it provides better security as compared to strip cut shredders. It employs the use of dual-cutting cylinders to shred office paper and documents. 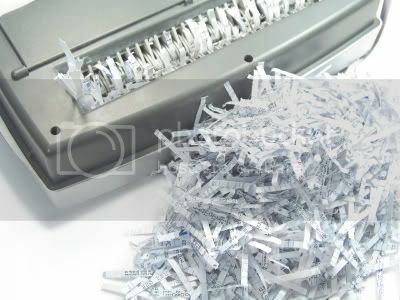 Cross-cut shredders produce tiny chads (pieces of cut paper) or confetti-sized pieces that makes piecing back highly confidential documents again virtually impossible. Although cross-cut shredders are deemed significantly useful for the aforementioned task, maintaining the machine could be quite expensive; Cross-cut paper shredders has a lower cutting capacity, thus, allowing the user to shred less amount of paper at a time. The bag capacity of cross-cut shredders, however, are up to five times more than that of a strip-cut shredder which means you don’t have to replace or empty the bag inside the machine. A variation of the cross-cut shredder is the micro cut shredder. This type of shredder offers the highest security possible for any type of office documents. Micro cut shredders cut paper into 6,093 particles, which literally makes it impossible for anyone to assemble the paper into a whole piece. In the United States, the National Security Agency even require their offices to make use of paper shredders that can shred top secret documents into 12, 064 particles. Check out the economy models of shredders we sell.